As soon as you speak to Jean Turnbull about her Chinese Brush Painting classes you will see from her eyes that she absolutely loves it, in fact Jean absolutely loves giving all her courses! Jean also presents Picture Planning – Direction and Meaning, and The Artist’s Way based on Julia Cameron’s book The Artist’s Way. People’s comments say everything – so here are some to describe her outstanding abilities as a teacher perfectly. Jean did her usual wonderful job. I and the rest of the class had a great day. AND I will be back next time! This was a really great course. Jean makes this a truly interesting and relaxing experience. She creates an atmosphere where individual creativity can shine through: Thank you Jean. I learned more than I imagined I would/could. Jean was clear and precise and I enjoyed the class immensely. I loved Jean Picture Planning course. It was really heart-warming and positive. It is helpful to know that we can make Vision Boards to put into place our dreams and goals and they can come true. I have gained insight and knowledge through this session with Jean. Picture Planning and Direction was an absolutely wonderful course delivered with true professionalism and enthusiasm. It was exactly as described, “People have said they’ve found their direction again… rekindled childhood fun”. Today’s introduction to The Artist’s Way was inspiring and so I look forward to completing the next few weeks of this course. It feels as though I have already started returning to my creative roots and I love that. Great class! Jean gave a very clear introduction. She was very welcoming and I felt very comfortable. I am looking forward to starting the course. I enjoyed the Introduction; Jean’s balance between information and quiet time was positive and encouraging. I look forward to the 6 weeks Artist’s Way. A wonderful opportunity to sample The Artist’s Way; it was good to do the collages and I’ll be interested to see how I see in them in two weeks time! Jean’s classes are always a delight and a joy. She gently facilitates this course with encouraging and inspiring words and techniques. I’ve had a beautiful morning taking time out to connect with gratitude, through the collages. I’ll certainly be joining the 6-week Artist’s Way and many more of the courses the Centre has on offer. 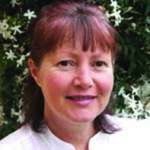 To view Jean’s upcoming courses click https://www.relaxationcentreqld.org/events/ and search Jean Turnbull.